Supermac’s founder Pat McDonagh has opened a Top Oil branded forecourt in Co Mayo, and it’s a huge hit with the local town, according to manager Adrian Feerick. The arrival of Pat McDonagh’s newest forecourt in Co Mayo was big news for the area, hitting the headlines in the Connaught Telegraph. 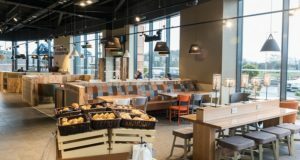 “Excitement at the opening of new Supermac’s” read the enthusiastic headline, with the story detailing the range of new food franchises and the addition of a Top Oil forecourt. 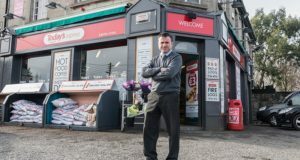 For this small town, halfway between Galway and Sligo, the forecourt has put the area firmly on the map and provided 30 jobs for local people that would have otherwise faced a long commute, or even a new life in a new city. Despite his relative youth, Adrian has spent over 13 years in retail management, and is keen to ensure the business fulfils its potential. “This is a small vibrant town, with a very strong community spirt,” he said. “It would have been a market town, but now it’s more for commuters who travel to Galway or Sligo, or the other nearby towns. 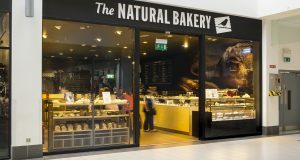 The site, formerly ran by a local owner, had been a fixture of the town for 30 years before being sold to Pat McDonagh and earning a new fascia and a bunch of new franchises. 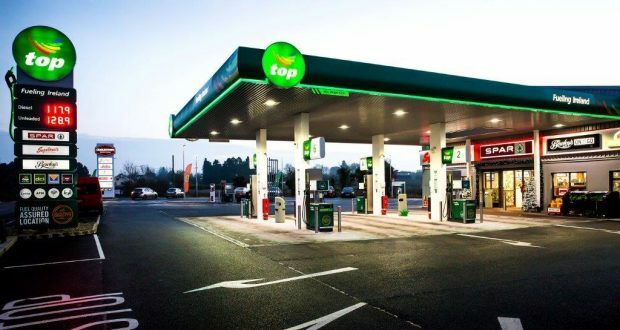 Along with a Top Oil canopy and pumps, the site has a Spar shop, the legendary Supermac’s, Papa John’s Pizza, SuperSubs, Mac’s Place Deli & Carvery, and Bewleys Coffee. It’s a lot of brands for its modest 2,000 square foot footprint; but the team have come up with an innovative way around the problem of space. According to Adrian, Supermac’s remains the big driver for business at the site, and is a powerful attraction. Indeed, Adrian had previously told the Connaught Telegraph how a bus load of students from St Attracta’s in Tubbercurry had been among the site’s first customers within an hour of its opening. This varied food court offer also needed a successful forecourt to complete the overall approach, which for Adrian is where Top Oil came in. Speaking to us just two weeks after the site first opened its doors; Adrian explained the initial excitement of the opening was still bringing many people into the store and forecourt. And despite the soft opening, word has got around in a big way. For Adrian, the challenge now is to build on the excitement of the opening, and continue the site’s significant momentum.